The Morse Code Trainer is an app for anyone struggling to learn morse code. Or if you already have the basics and wants to improve you skills. Current version is 1.3. The app will continue to improve. We have a list of new features that will be implemented in the future. 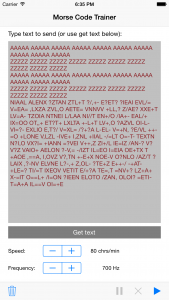 You can type any text and play it in various speeds from 40 to 200 characters per minute. You can also adjust the pitch from 400 to 1000 Hz. If you don’t want to type in text you can paste the text from the clipboard. 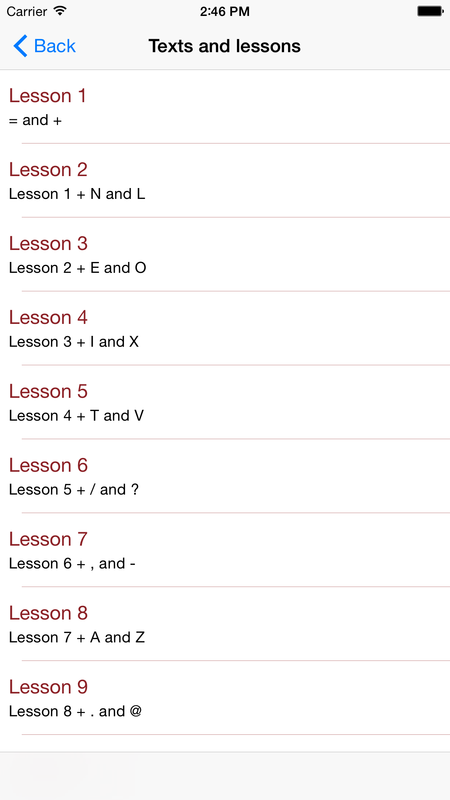 For training you can select one of 24 lessons based on a modified version of the NL method or add random letters, figures, punctuations or a mix of all. 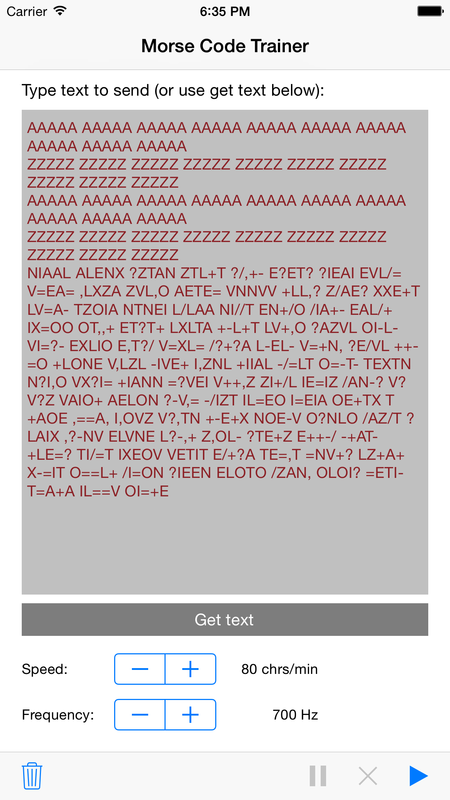 The application supports the international Morse code alphabet letters A to Z, figures 0-9 and the punctuation signs ’?’, ’!’, ’,’, ’.’, ’-’, ’(’, ’)’, ’/’, ’%’, ’”’, ’;’, ’:’, ’=’, ’+’ and ’@’. Plus special characters Swedish Å, Ä, Ö as well as the German Ü and ß. If you take a brake in your training session all settings and the text to send comes back when you restart the app. 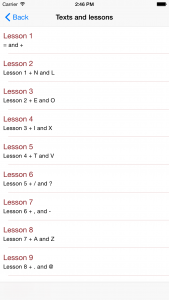 Version 1.1 also supports pausing your lessons. The app will continue to develop in the future and additional features will be added. For suggestions of new functions, support etc please contact info@marubozu.se.